We’re really excited about this year’s Wings Over North Georgia AirShow featuring the F-22 Raptor, the A-10 Warthog, and Tora! Tora! Tora! and we hope you are too!! Below, our General Aviation friends can find important information regarding this year’s show, TFR times, important frequencies, and more. Thanks for visiting our site! We can’t wait to see you October 13 and 14! The 2018 Wings Over North Georgia air show is excited to include our General Aviation aircraft friends with an opportunity to attend the air show by flying directly into Russell Regional Airport (KRMG). 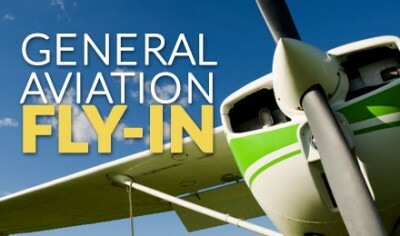 We have limited general aviation static display parking area available. All guests on-board the aircraft are required to purchase a minimum General Admission Ticket on-line; Click Here to Purchase On-Line. Just Present your Ticket Voucher to receive an Armband to the Ramp-Co once you are parked. All aircraft operators must request a PPR below. The cutoff date to request a PPR Arrival Number is Friday, October 5th…Once your application request is received, you can expect an email from the air show staff with an approval and PPR Number. All aircraft are required to bring their own chocks & tie-down equipment. Operators without a PPR Number will be turned away. Further questions — guests can contact the air show office at (706) 291-0030. General Aviation fly-in aircraft are required to arrive prior to the air show aerobatic box going hot (Sat-Sun). The scheduled performers have priority access to the FAA restricted air space. We will have an active Temporary ATC Tower and Air-Boss controlling the airfield Thursday – Friday – Saturday – Sunday (see below information). Please be pro-active, flexible and plan your arrival at KRMG before the aerobatic box goes active (HOT). The TFR times will be updated & posted the week leading up to the air show weekend. Once the air show aerial activities begin (FAA ACTIVE TFR), all General Aviation aircraft will be required to remain in-place until the conclusion of the daily air show performances at approximately 1700L. Sat & Sun Air Show Static Display Only — (NLT 11:30 am Arrivals) Approved aircraft flown into the air show must display their aircraft. Based on your aircraft and size, you will be parked in the designated air show static display areas. NOTE: Aircrew’s will be provided 2/General Admission daily tickets only. Additional Air Show Tickets & Premium Seating options must be purchased ON-LINE. Contact Russell Regional Airport Tower (RMG) for Landing Instructions at VHF 118.65 (Primary) or 119.50 (Secondary). Once on ground, you will be directed to contact Air Show Ground on VHF 120.70 for parking instructions. The Air Show RAMP-CO Team will provide Follow-Me directions for all Fly-In Guests to their designated parking location & FBO services. Attending aircraft operators should expect delays due to heavy aircraft traffic Thursday – Sunday and throughout the week’s activities. Your cooperation and patience is appreciated! The Air Boss (Russell Regional Airport Tower) has final say on all aircraft movements! NOTE: All aircraft operators must request a PPR approval. Please click here to submit your request. The cutoff date to request a PPR Approval Number is Friday, October 12th at 1800L. Once your application request is received, you can expect an email from the air show staff with an approval and PPR Number. All aircraft are required to bring their own chocks & tie-down equipment. Operators without a PPR Number will be turned away. Further questions — guests can contact the air show office at (706) 291-0030. Aircraft Services will be available to include: Jet-A; 100LL, Oils, Diesel, Mo-Gas, etc…There’s No Aircraft Camping Allowed….For those guests desiring to camp, please visit the INFO – Camping Tab to RESERVE a Camping SPOT. The Air Show Camping section explains our RV & Tent camping options.